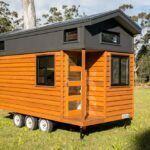 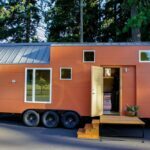 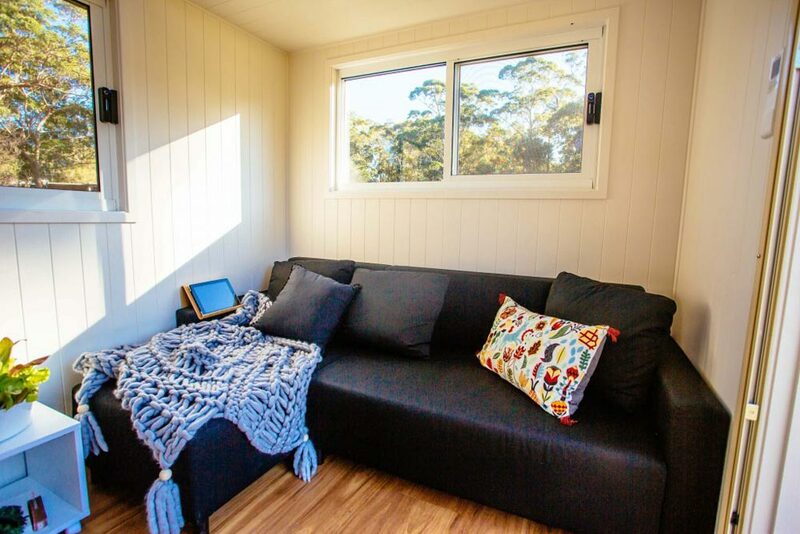 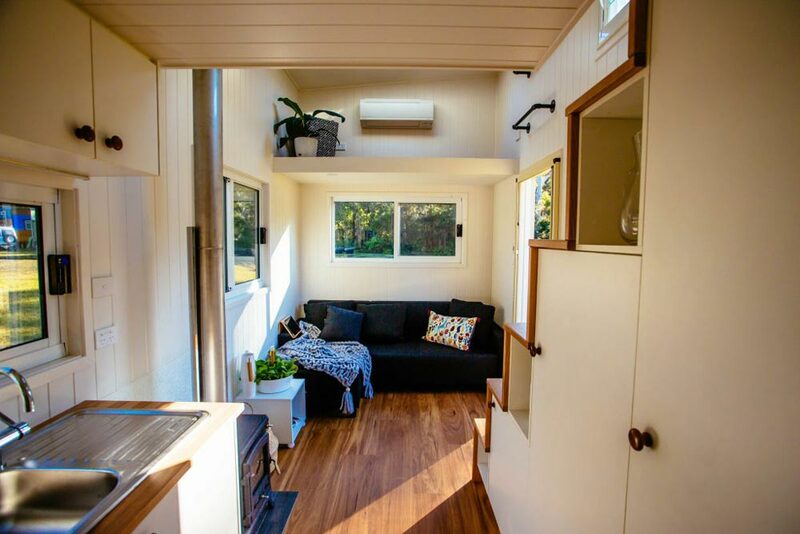 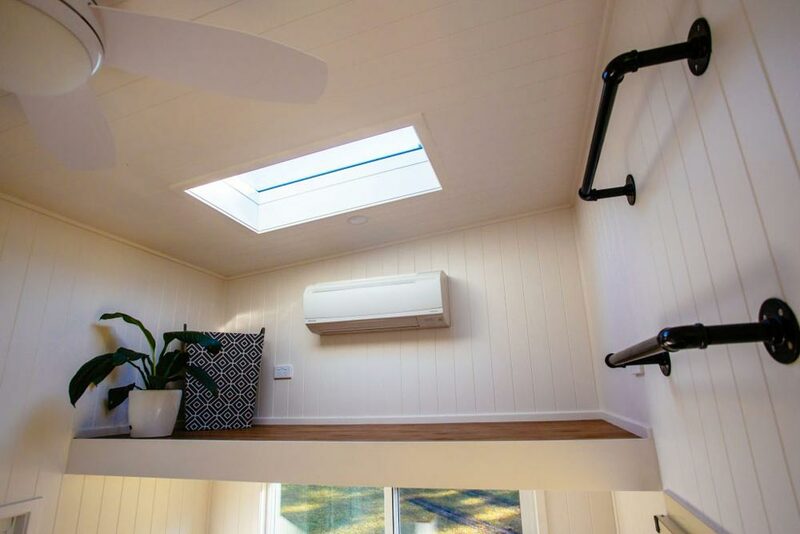 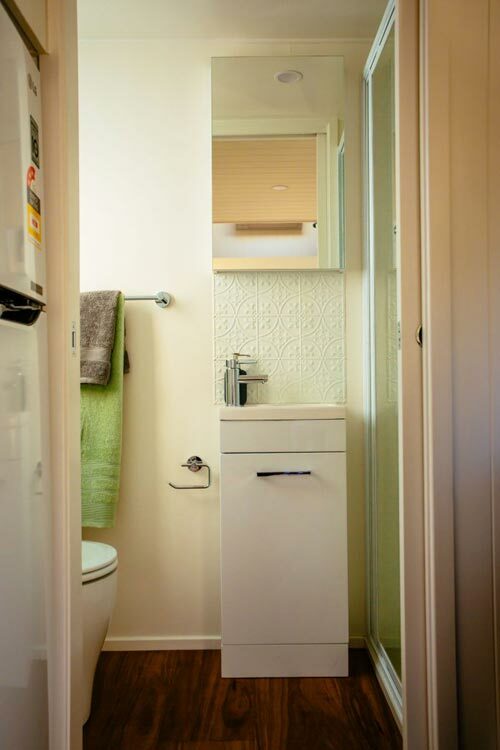 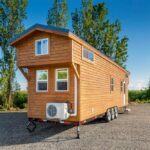 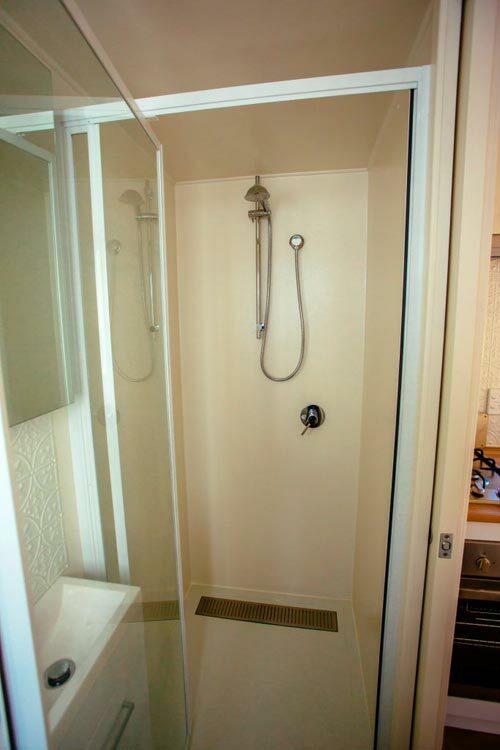 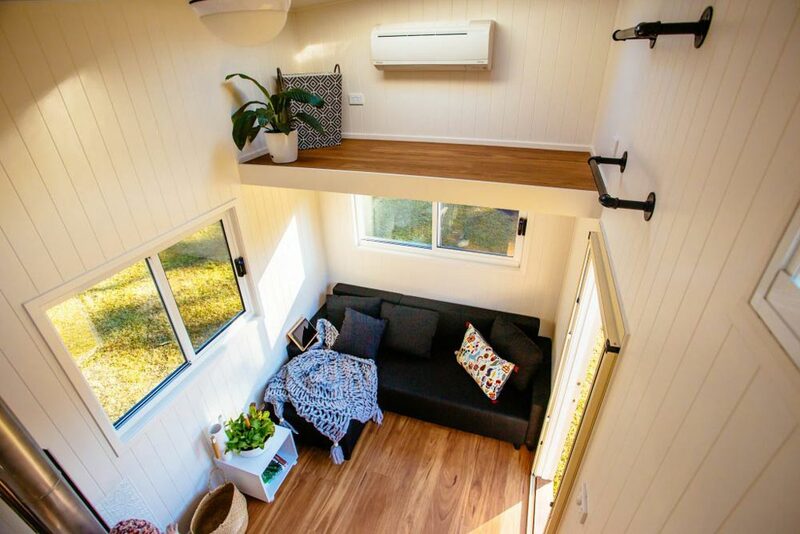 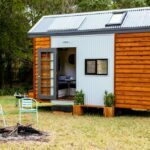 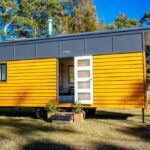 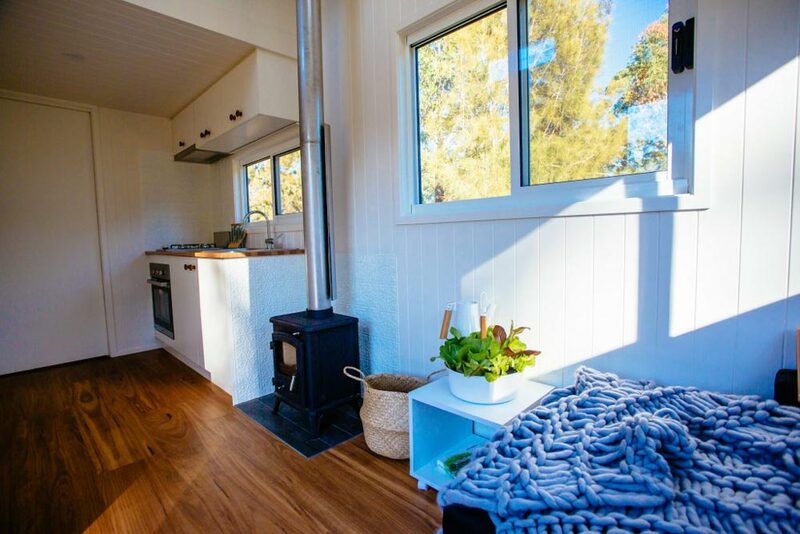 From Australian tiny home builder Designer Eco Homes is the Graduate Series 6000DLS. 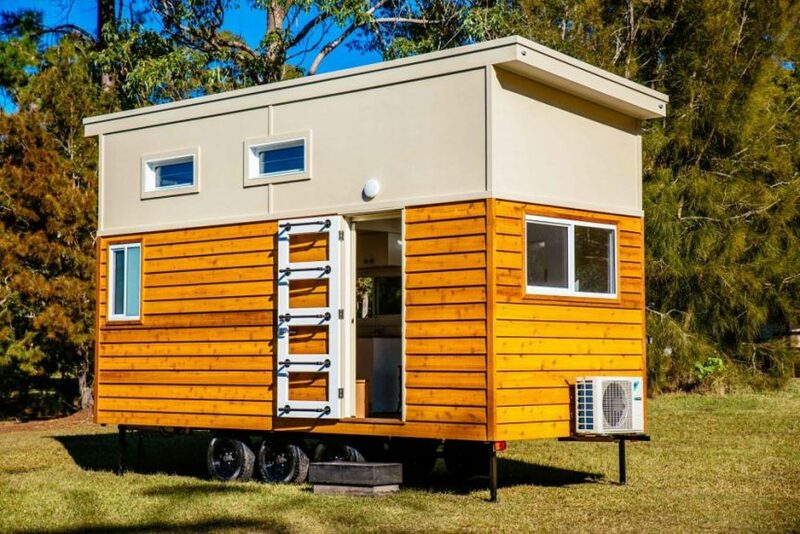 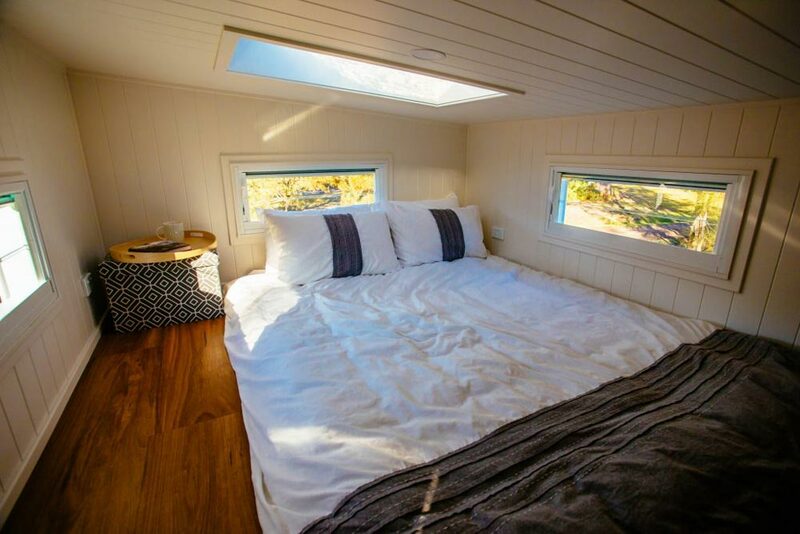 This is similar to their other Graduate Series homes, but includes a skillion (shed) roof-line, adding more headroom in the king size bedroom loft. 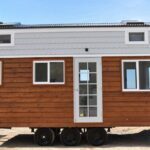 The exterior consists of Designer Eco Homes’ signature finishes of Western Red Cedar, smooth painted cladding across the top, and a corrugated metal roof. 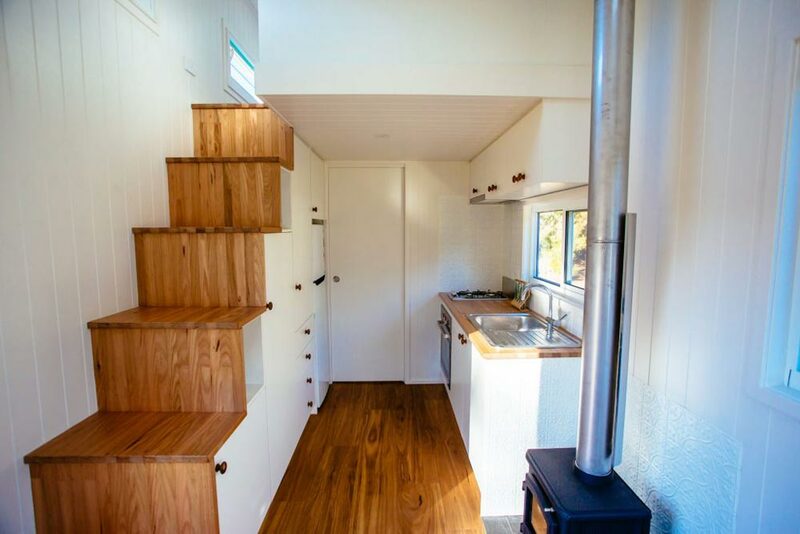 Two skylights, eight windows, and a four-light front door provide plenty of natural light. 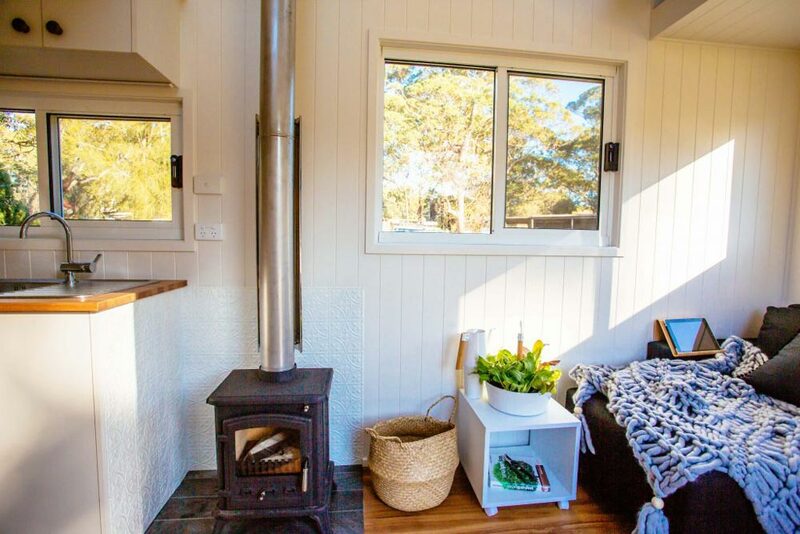 The interior features white beadboard walls, wood floors, and a wood-burning stove. 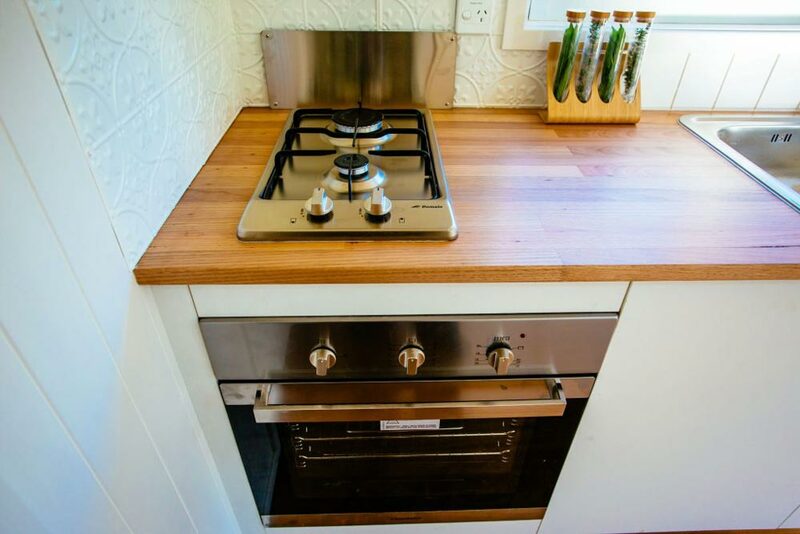 The kitchen appliances include a two burner cooktop, oven, sink, refrigerator, and range hood. 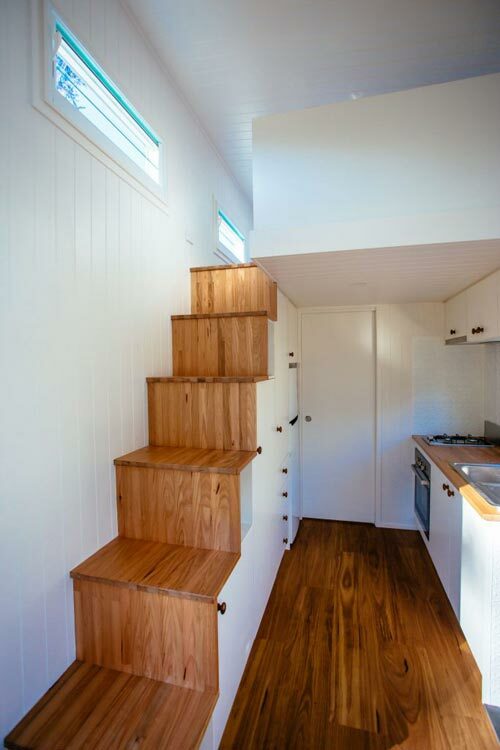 A large set of stairs provide abundant storage space. 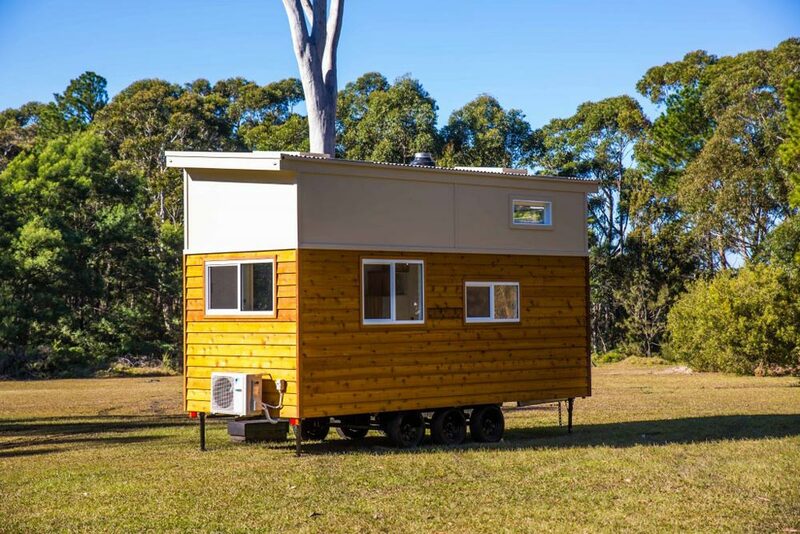 The base price for this model is $72,200 AUD and the featured model in the pictures was $77,660 AUD.